On the heels of a 2017 Broadway engagement, the fantastical new musical Amélie, based on the Oscar-nominated film of the same name, will arrive in the U.K. in 2019. Michael Fentiman will direct the touring production, kicking off at the Watermill Theatre in Newbury from April 11 through May 18. With a book by Craig Lucas, music by Daniel Messé and lyrics by Messé and Nathan Tysen, Amélie centers on an extraordinary young woman who lives quietly in the world, but loudly in her mind. She covertly improvises small but surprising acts of kindness that bring joy and mayhem. But when a chance at love comes her way, she realizes that to find happiness she’ll have to risk everything and say what’s in her heart. 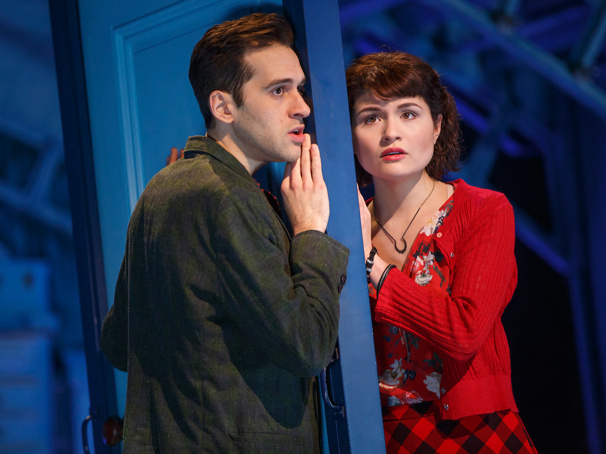 The Broadway production of Amélie, directed by Pam MacKinnon, featured a cast led by Phillipa Soo in the title role with Adam Chanler-Berat as Nino. Casting for the U.K. touring production is to come. Check out production footage from the Broadway run of Amélie below.